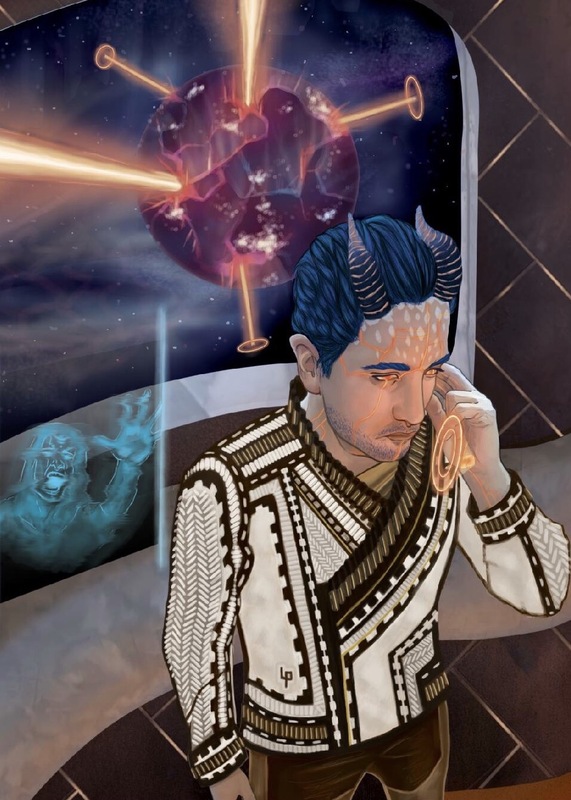 This entry was posted in Artist, General Tarot, Love and Finance, Weekly Tarot Guidance, YouTube Videos and tagged Guidance, Path, Reading, Tarot, Weekly. “I decided to paint Justice as an Octopus woman. I know Justice uses the number 8 or 11 and since an Octopus has eight legs I thought it would be fitting. I used a Narwhal horn for her sword which she holds on her right, and shells for her scale (which are balanced) which she holds on her left. I used the seaweed as pillars. I wanted to keep this card as natural as possible. A sea goddess bears a Narwhal horn in one hand and shell scales in the other. She is flanked by two pillars of kelp rising to the surface. The feeling of this card is balance. The blade is held in her right hand – logic is at work, and the scales in her left show an even counter-balance of emotion. Both are at play here. She is sightless – she cannot judge on appearances, only by determining the truth. The scales are evenly balanced, the future will be determined by the decisions you have made, and the fairest outcome will prevail. This card advises that everything happens for a reason, and that each action has a consequence. These may not be immediately apparent, but you should tust that they will. This entry was posted in Artist, Deck Review, Featured Card of the Day, General Tarot, Readings and tagged 78 Tarot, Justice, Nautical, Tarot. This little monster has lived many lifetimes. He has seen and done it all and now grows restless. Climbing ridged stairs, he is in pursuit of a higher existence and must take a solo journey to reach it. It takes a lot of courage to cut your losses, and walk away, but sometimes its necessary. You’re unhappy with the status quo, disappointed and disillusioned. Life seems full of material possessions, idle choices and superficial encounters, none of which hold any interest for you now. You need a more emotional connection, new experiences and challenges that will bring you a deeper fulfillment, and you know that it’s out there, waiting for you. Will you strike out on your own to take the first step upon a spiritual journey? 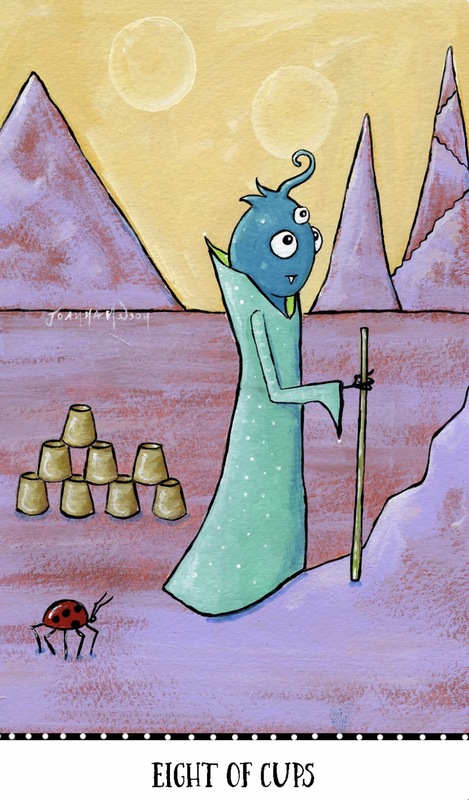 This entry was posted in Artist, Deck Review, Featured Card of the Day, General Tarot, Readings and tagged 8 of Cups, Joanna Nelson Studio, Monstarot, Tarot. The Hermit stands on a cold, snow-covered mountain top. He has his glow-bug friend in a carrier and a candle upon his head to help light the way. He stands still for a moment and closes his eyes to meditate and go deeper within himself. You feel like you need some alone time, time to reflect on what really matters. Take it. The outside world, with all its people, noise and demands, is distracting you from what is important right now. Don’t be wary of isolation – we all need a few moments (or longer) sometimes to clear our heads and focus on our own thoughts and needs. There is a spiritual contentment to be found in meditation, a clarity that will help you move forward, empowered and feeling stronger. 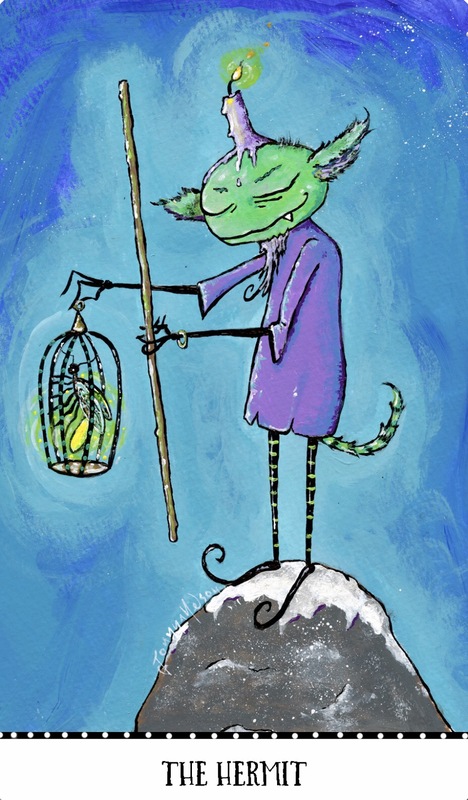 This entry was posted in Artist, Deck Review, Featured Card of the Day, General Tarot, Readings and tagged Hermit, Joanna Nelson Studio, Monstarot, Tarot. 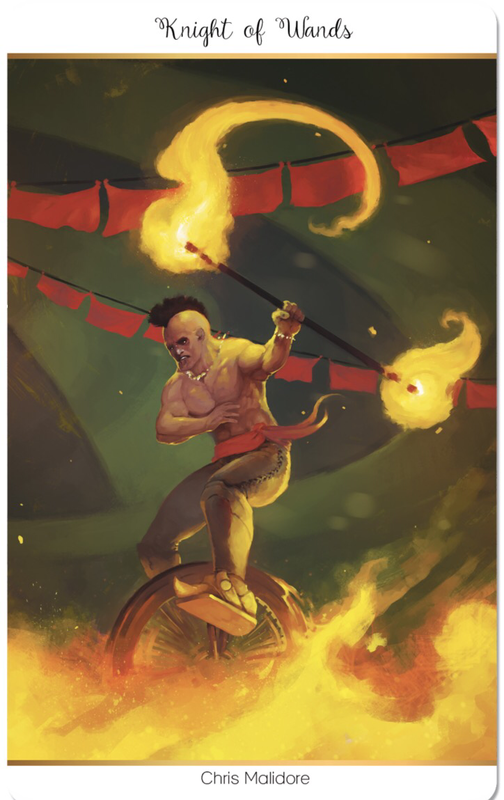 Mounted upon his unicycle, the fire dancer propels himself forward, blazing his way across the circus arena and onward to success. Raising his fiery brand in a salute to those that follow his glorious and energetic change, he hastens on to victory. This is not a knight who sits and ponders, but a figure of action. Let others sit and wait, he is here to accomplish great things and he will ride through fire to reach his goals – he knows that only through courage and action can he fulfill his dreams. The Knight of Wands is on fire! This card symbolizes an energetic, determined and ambitious figure, who charges toward his goals – he has to put the dreams of the Page into action, but he is impulsive, not always taking the time to think things through before he acts. 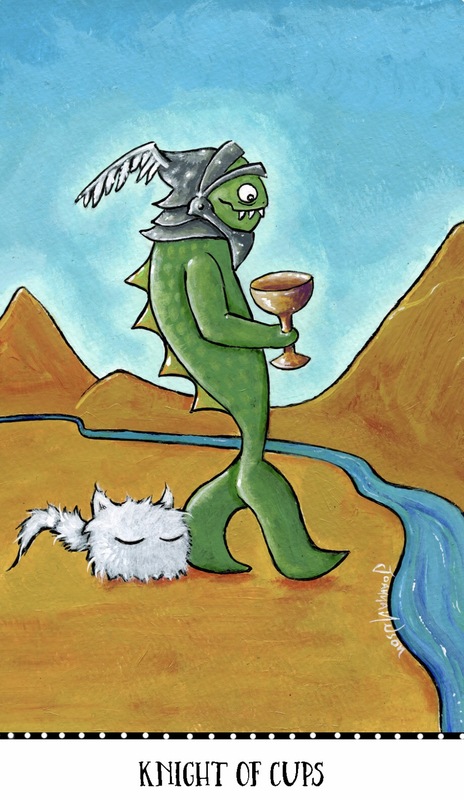 This entry was posted in Artist, Deck Review, Featured Card of the Day, General Tarot, Readings and tagged 78 Tarot, Carnival, Knight of Wands, Tarot.